The Lunar New Year is nearly upon us and the 2012 Tết Holiday in Vietnam is shaping up to be bigger and better than ever before. Here at Volunteers for Peace Vietnam Saigon Branch we are just as excited as everyone else and we want to use this year’s Tết as an opportunity to extend our outreach in Vietnam. For a new year coming, Tet 2012, we would like to organize a voluntary trip to K’rông Pa, a small village in the Central Highlands province of Gia Lai. We want to try and make a difference to this community (especially for children) in a variety of ways over a 2-3 day trip. 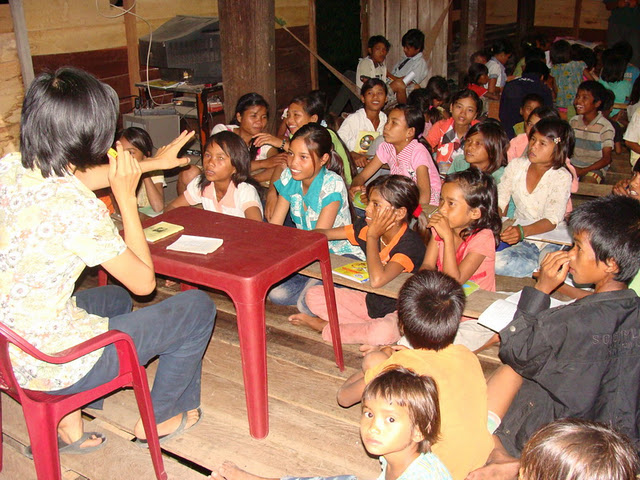 Villages like K’rông Pa are often forgotten in popular society and rarely receive voluntary aid; and the local people have a very poor living condition at the moment. We are looking to raise funds to help us make a positive impact in K’rông Pa, hopefully leading to continued efforts in similar communities in the future. 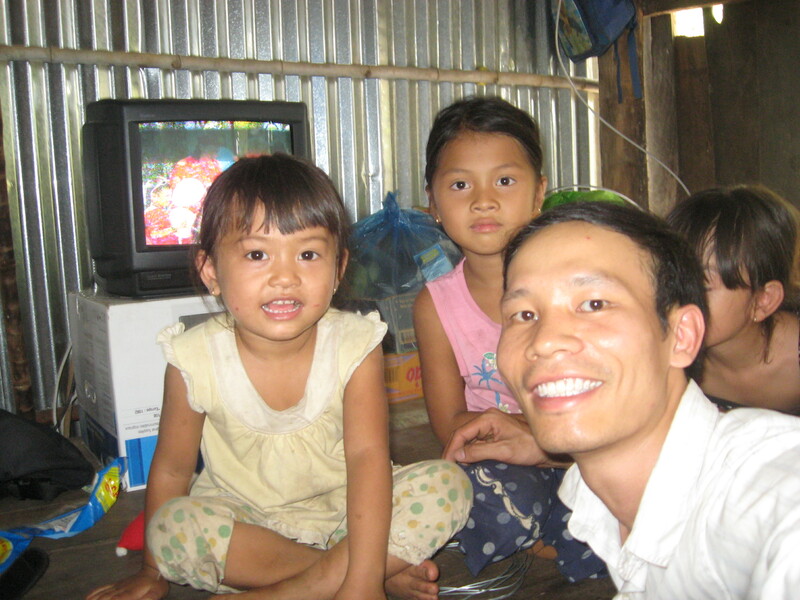 Gifts: We would like to give presents to the local children in celebration of Tết. Ideally we are looking for direct donations of everyday necessities such as food, blankets, clothes, in particular socks and underwear, as well as important items like new mosquito nets and any other items you may feel are relevant to the living conditions. We understand this is not always possible and will also look to raise funds in order to purchase gifts ourselves. Everything will be spread out equally and we hope for every child to receive the same or similar gifts which emphasizes the importance of these donations. This is a great chance to enhance the living standards of these children but also the families who may be too poor to afford these crucial items. Activities and Games: With 2 or 3 days in Buon Phum, we plan to arrange many activities for the children especially but we would like to involve as many people as possible. We will play traditional Tết games and arrange performances by the VPV volunteers involved in the project and stories around the fire etc. The most special event will be the making of ‘Bánh Chưng’. It is perhaps the most famous food associated with Tết, It is a rice cake with a square shape to represent the earth. The outer layer wraps in green banana leaves. In the middle is pork meat and mung bean to represent animals and plants on earth. It’s a special tradition and will be lots of fun for everyone involved. This will also be a great opportunity for volunteers and local people to share both experiences of living in such contrasting environments and also local customs that either group of people may find interesting. Personal Hygiene Guidance: Perhaps the most important aspect of the trip will be a Personal Hygiene guidance for villagers to learn more about improving their cleanliness and personal health. It is so important as we hope to develop simple but crucial life skills that will benefit the children especially in later life. If we can get them to understand the significance of brushing your teeth or the most effective way to keep warm in the cooler mountain weather they will be able to avoid simple but devastating health problems that can arise as they get older. As part of the guidance we would like to offer free toiletries, like toothbrushes and toothpaste, soap, toilet paper and other important accessories in hygiene. We need to raise funds in order to create pamphlets that can be distributed amongst locals as well as the amenities mentioned earlier to give out so that we can put the message into practical use for the foreseeable future. Donations either in actual physical objects, gifts or items for workshop or funds which can be used by VPV to purchase these items. Donors will be made aware of the use of their contributions. Transportation costs: – there will be around 20 – 30 volunteers taking part in the project. Most are students and will have difficulty in covering transportation costs. The maximum will be 30 and the price per person is estimated around 500,000VND per person. The target transport budget will be 15m VND which will cover the maximum number of volunteers but if we do not reach capacity can be used in the same way as funds donated towards the gift giving or workshop. VPV is a trustable organization I volunteered for in 2010. I donated money for this project two years ago and wrote in a blog post about this annual initiative of bringing food to children in the Highlands of Vietnam for Tet. If you feel like making someone happy, it is a good cause. These children live in real poverty, and your presents will brighten their lives!